Mom: What do you think you are doing? Me: Taking pic(s) of mint. 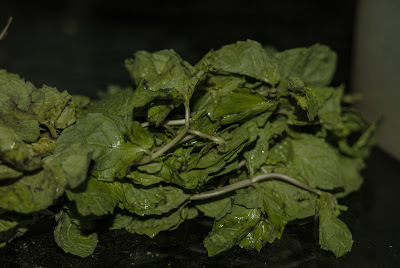 She: But I gave you those bunch of fresh mint sprigs to make their Chutney . Me: I am gonna do that in Jiff. She: See, there are some reasons you are still unmarried. Me: Is this always necessary for you to bring me still unmarried thing and its reasons in every convo. Me You do that for purpose, don't ya? Me: You won. I am gonna make the Mint Chutney.